Lets face it: working a job is a major part of our lives where we spend many hours of our day. We spend a lot of time in our cars, trucks, vans, SUV’s, and motorcycles.Accidents may happen. If you are looking for expert evaluation and treatment of pain management, sports injuries and all other injuries, we welcome you to our practice Grossinger NeuroPain Specialists.Dr. 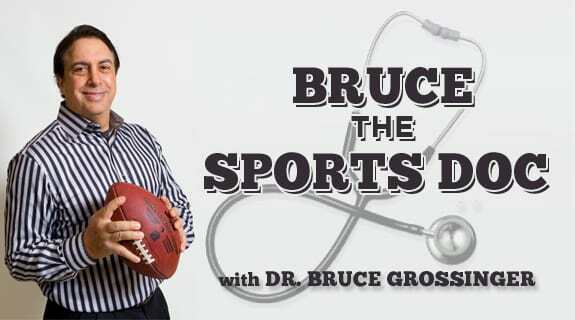 Bruce and Dr. Steve are brothers who have practiced pain management, sports medicine and spine injuries together for over 10 years. They both have multiple board certifications in Neurology and Pain Management. They have a staff of doctors who cover many different aspects of pain, including anesthesiology, sports medicine, and psychology. Our offices are conveniently located. The Eddystone office is 1 minute from I-95 and the Blue Route in Delaware county, suburban Philadelphia. The Wilmington, Delaware office is near the intersection of Routes 4 and 7 (Limestone Road), within 5 minutes of I-95 and Christiana Hospital. We treat concussions, motor vehicle accidents and workers compensation cases in our Delaware office and Pennsylvania office. Evaluation includes detailed discussion of the clinical course of your symptoms or pain management. Physical examination is conducted by our injury doctor to assist with diagnosis. Prior testing is reviewed and additional testing may be considered. We perform various testing all depending on your examination. After making a diagnosis, our injury doctor will discuss treatment options. Sophisticated use of medication can provide significant decrease or resolution of pain. Physical treatments such as physical therapy may be prescribed. We will refer you to local physical therapy and chiropractic practitioners. An important treatment approach involves getting medication directly to the sites of pain in the neck injuries or spine injuries. We have procedure suites with fluoroscopy where we perform various types of procedures. This state of the art, x-ray guidance allows us to pinpoint the location site for placement of pain relieving medication. We also offer many other treatments. Contact our office to arrange a consultation for nerve testing, pain management or spinal injuries. Our injury doctor can make a diagnosis and outline a treatment plan for your condition. At Grossinger Neuropain Specialist, we understand that the reason you found us or are coming to us is to help you with your pain. The first thing that needs to be done is to find out why you are in pain. An EMG or Electromyogram Test is used when patients have muscle weakness or damage and do not know what the cause is. An EMG helps determine whether the condition is strictly a muscle problem or if it is due to nerve disorders. It is also used to detect a true weakness in the muscle, as opposed to weakness from reduced use because of pain or even lack of motivation. Lastly EMGs are also used to isolate the level of nerve irritation, damage or injury. It is a test that is used to record the electrical activity of muscles. When your muscles are active, they naturally produce an electrical current from your body. This current is based on the level of the muscle activity. An EMG is also known as a myogram at times. EMGs can be used to detect abnormal electrical activity of muscle that can be a result of specific diseases and conditions, including muscular dystrophy, inflammation of muscles, pinched nerves, peripheral nerve damage (damage to nerves in the arms and legs), amyotrophic lateral sclerosis (ALS), myasthenia gravis, disc herniation, and other conditions. Call or contact us in our Delaware or Pennsylvania offices for more information or to schedule a visit so that we can advise if this is the right test for you. Get help for concussions Delaware here. Offices located in Wilmington Delaware and Essington Pennsylvania.